Honored for achievements in sport: Alexandra Ostendorf (left) was honored at the recent statewide celebration for National Girls and Women in Sport Day at Seton Hall University. 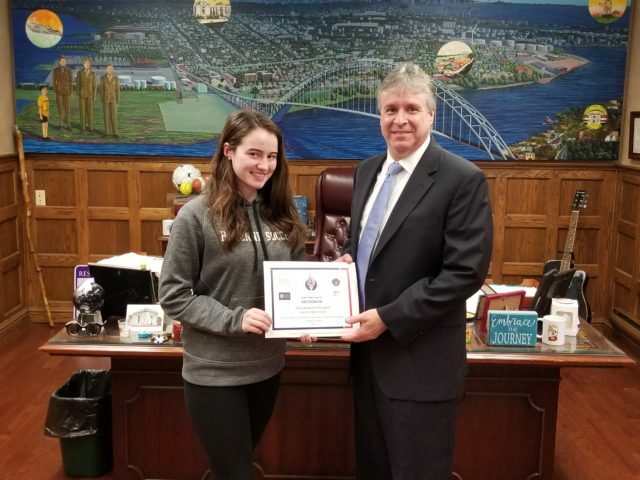 Mayor Jimmy Davis (right) presented her with a citation in recognition of her success in soccer at Bayonne High School. In the coming academic year, she will play soccer for Drew University.